Avast Pro Antivirus is the one of those security software which uses Virtualization technology to enhance your PC protection. 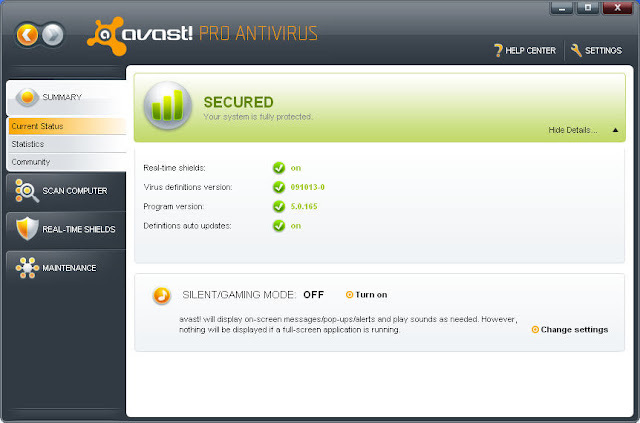 Avast application runs in virtual Sandbox environment, stopping attackers and intruders passing through your PC. Avast! SafeZone offers a steady protection for private and sensitive operations and functionalities. When you are playing games or running any applications in full-screen mode, Avast automatically detects these applications and makes pop-ups and notifications inactive without reducing the system protection. Prevents dangerous scripts of web pages or sites from damaging your PC with Script Shield. Web Shield scans all necessary web pages, sites, files downloaded and java scripts. Avast Heuristic Engine discovers malware that is undetectable and severe. Boot-Time Scanner - Cleans your computer viruses & junk files before the OS gets started. Smart Scanner, Improved Firewall and Extensive Anti-Spam technologies. 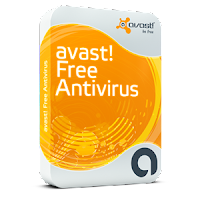 Avast Pro Antivirus is supported in major Windows platforms such as Windows 7, Xp SP2, 2000 and Vista (32-bit and 64-bit). Download Avast Pro Antivirus 6.0.1367 30-day trial version from below download link.